Ahead of this evening's 6:45pm deadline, we have combed through all 20 Premier League press conferences to bring FPL managers the need-to-know team news, injury updates and predicted XIs for GW24. 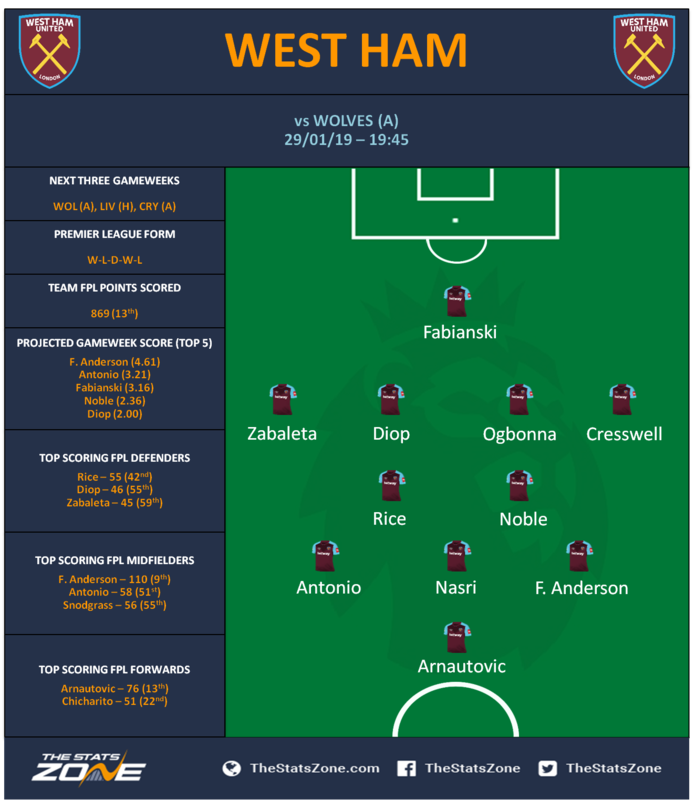 The Stats Zone's other Gameweek 24 FPL content includes Captain Picks, Fixtures, Projections & Team TSZ Discussion. Nacho Monreal (£5.4m) and Stephan Lichtsteiner (£4.5m) are the other candidates to fill in at the heart of defence. The Swiss defender or Ainlsey Maitland-Niles (£4.4m MID) will take over from long-term injury loss Hector Bellerin (£5.4m) at right-back. 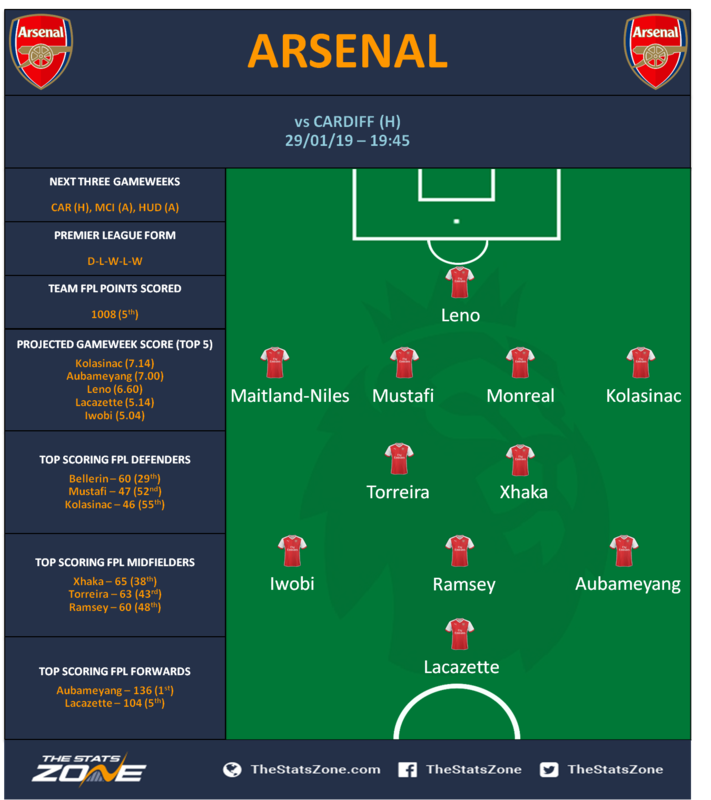 Emery could also use a back three and pair two of Monreal, Lichtsteiner and Mavropanos with Shkodran Mustafi (£5.4m). Henrikh Mkhitaryan (£6.7m) is only ‘being integrated back into full training’ ahead of GW24. 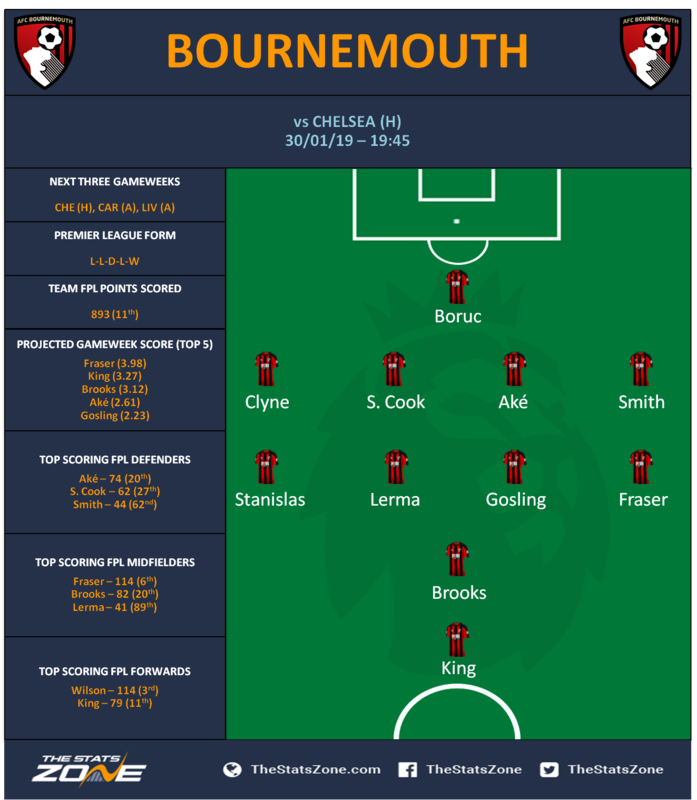 Artur Boruc (£3.9m) displaced Asmir Begovic (£4.4m) in GW23, with Bournemouth shutting West Ham out in a 2-0 win. The 38-year-old may continue between the sticks for the Blues’ visit. On injuries, Hughton added: “Jose Izquierdo (£5.9m) is still out, as is Bernardo (£4.2m). Bernardo is very close to being back fit – we anticipate he'll train on Thursday. He's done good rehab work and made a good recovery – it's about when we feel he's ready for matches.” Ezequiel Schelotto (£3.8m) has joined Chievo on loan for the rest of the season. Alireza Jahanbakhsh (£6.7m) remains on international duty. 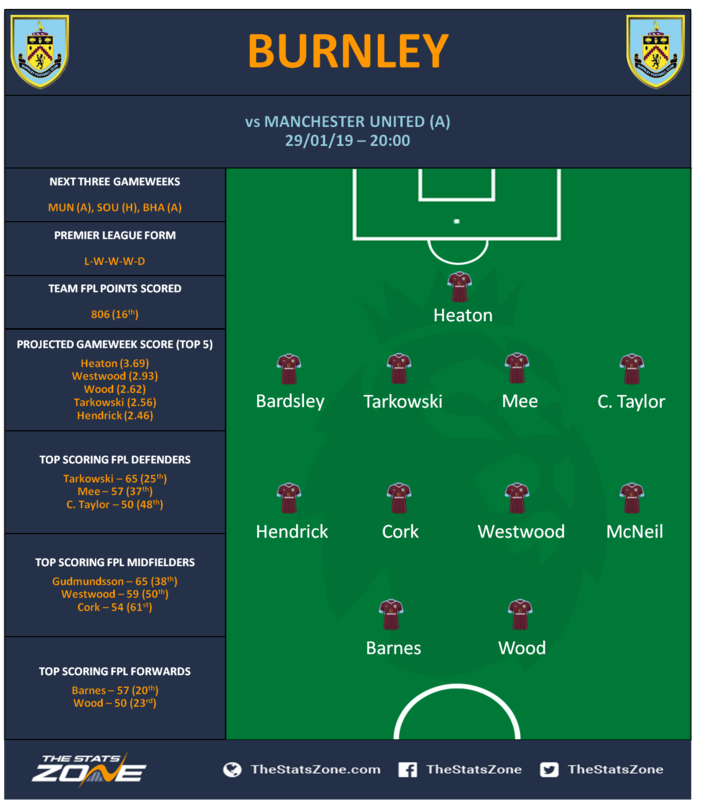 Dyche used a 5-4-1 formation in the Clarets’ 5-0 FA Cup fourth round defeat to Man City at the weekend. Charlie Taylor (£4.4m) moved to the right-hand side of defence, with Stephen Ward (£4.7m) on the left. 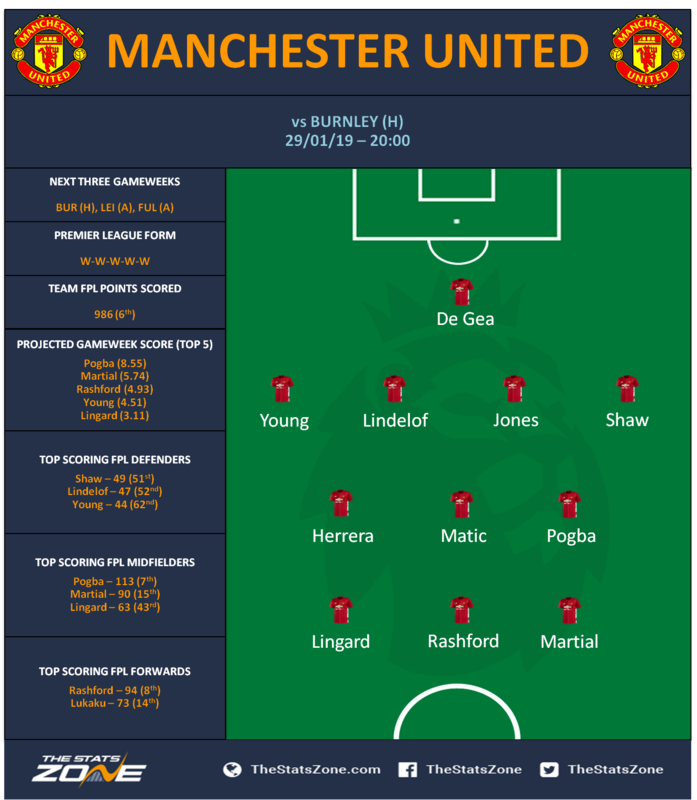 The Burnley boss may have to employ the same use of his left full-backs if Bardsley is not passed fit. Nick Pope (£4.8m) started in that cup tie, with Tom Heaton (£4.8m) expected to return between the sticks for the Old Trafford trip. Considering the tragic circumstances around the disappearance of Emiliano Sala, there were naturally no updates on trivial things such as team news at Neil Warnock’s press conference. 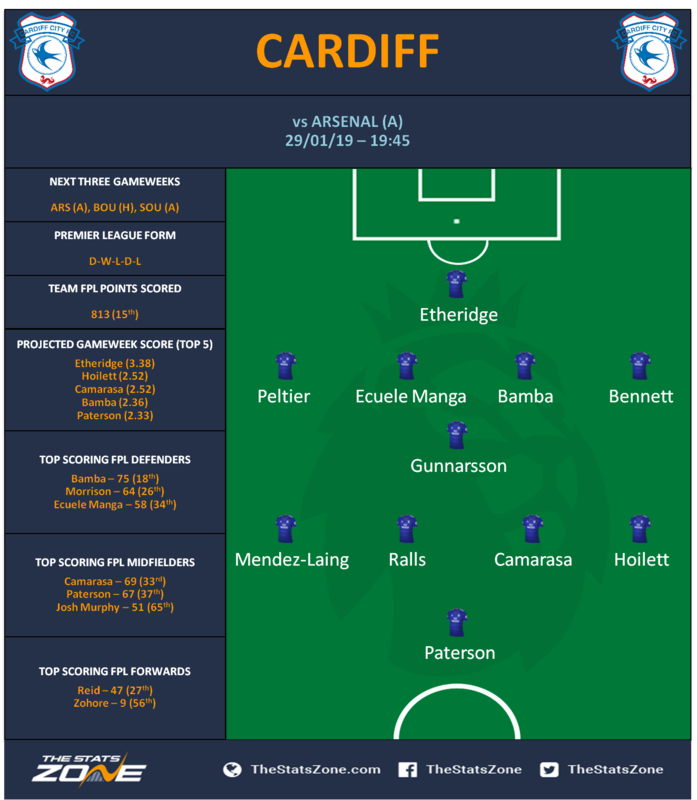 Sean Morrison (£4.7m) may miss out again after undergoing appendix surgery recently, while Harry Arter (£4.9m) is the only other first-team regular in doubt for GW24. Marcos Alonso (£6.6m) lost his place to Emerson (£5.2m) for Chelsea’s EFL Cup semi-final win on penalties against Spurs last Thursday. The Spaniard then played the full FA Cup game against the Owls on Sunday, with the Italian in-line for a first Premier League start. Olivier Giroud (£7.7m) could earn a start if Chelsea’s new signing is not picked to start a second game in four days. 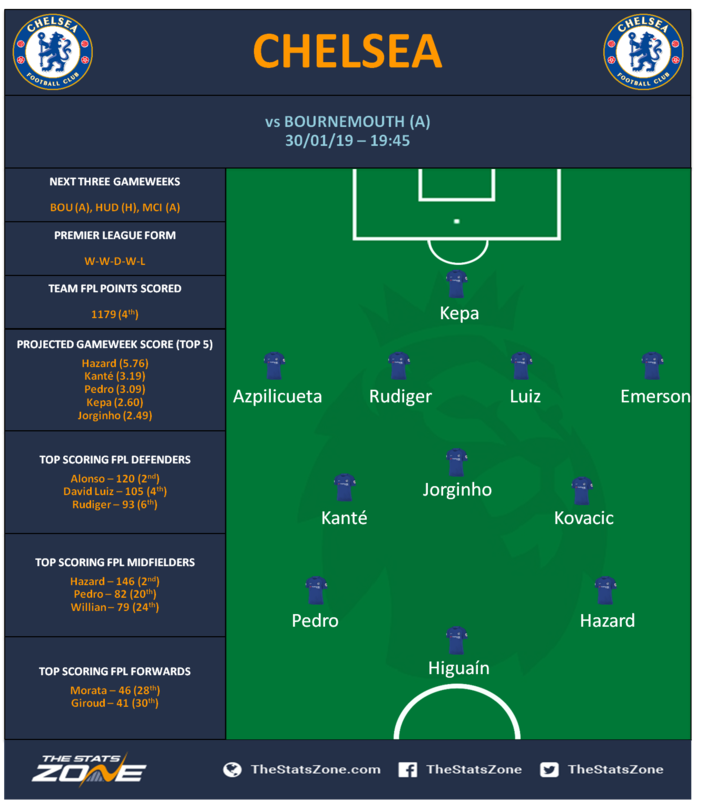 Pedro (£6.3m) and Willian (£7.2m) will battle it out for the right-wing spot if Sarri decides to use a striker against Bournemouth. Ross Barkley (£5.1m) will compete with Mateo Kovacic (£5.7m) for a midfield berth. The Chelsea manager also said at his press conference that the club have told him Callum Hudson-Odoi (£4.2m) will remain at Stamford Bridge in this transfer window, despite interest from Bayern Munich. 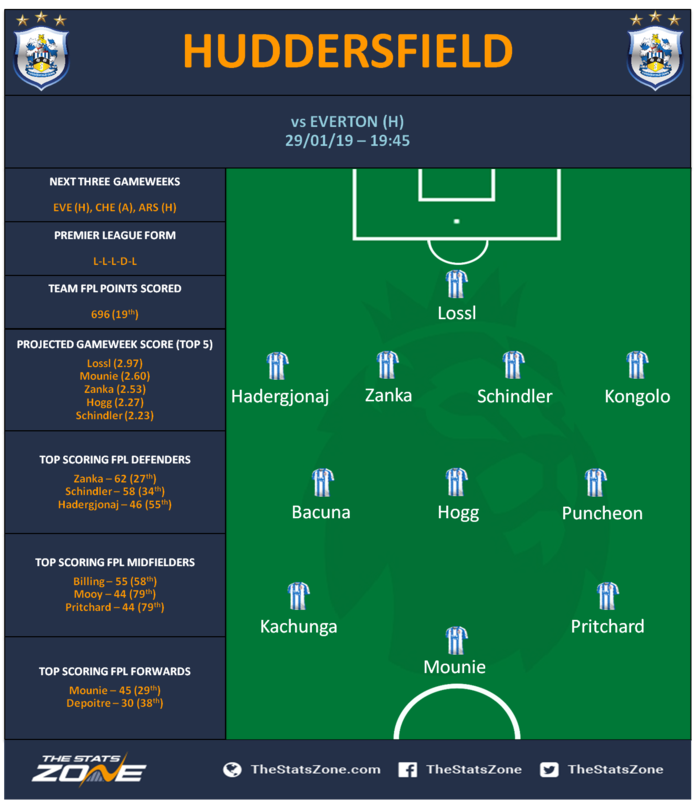 With Everton on a poor run of form, the Portuguese boss could be tempted into both line-up and formation changes for the trip to Huddersfield. He added: “It’s up to us to do our job. 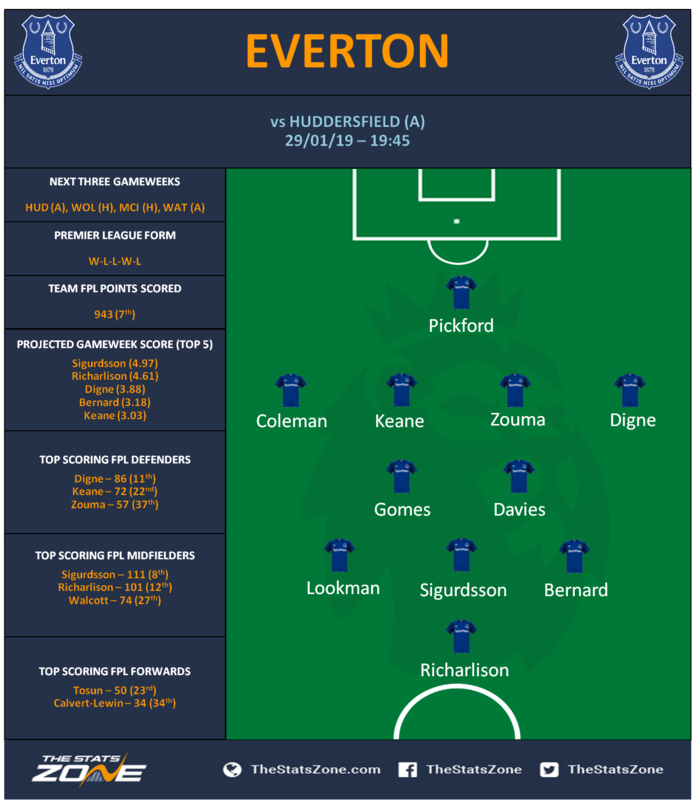 There could be a new formation, we don’t know.” The Toffees' double gameweek 25 means the club play four league games in the next 12 days, with Silva set to make use of his squad over that period. Reports suggest Idrissa Gueye (£4.8m) has handed in a transfer request following a PSG bid, so Tom Davies (£5.1m), Morgan Schneiderlin (£4.2m) or James McCarthy (£4.4m) could earn a start in central midfield. 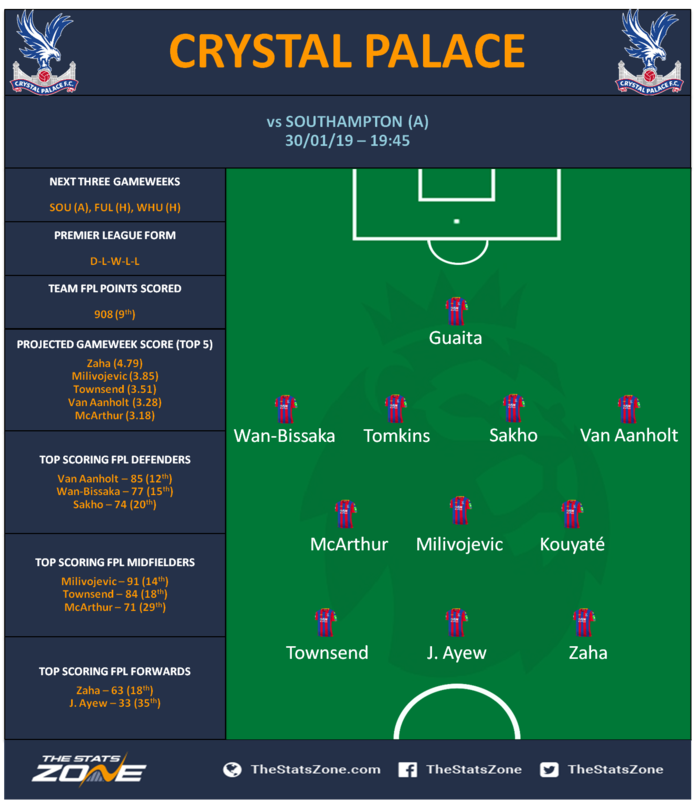 After conceding four times to Wolves in GW23, the Frenchman may be tempted into line-up alterations. Ricardo Pereira (£5.3m) could revert to right-back, while Jonny Evans (£4.8m) and Caglar Soyuncu (£4.9m) are options in central defence. 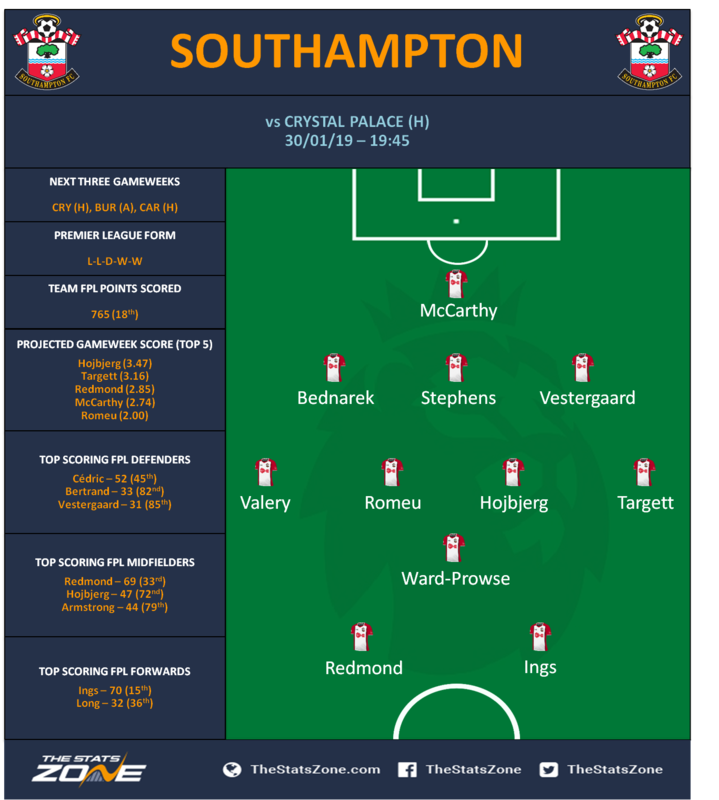 James Maddison (£6.7m) and Marc Albrighton (£5.1m) will be pushing for starts in attack, with Harvey Barnes (£5.5m) a possibility to continue in the starting XI depending on the chosen formation. 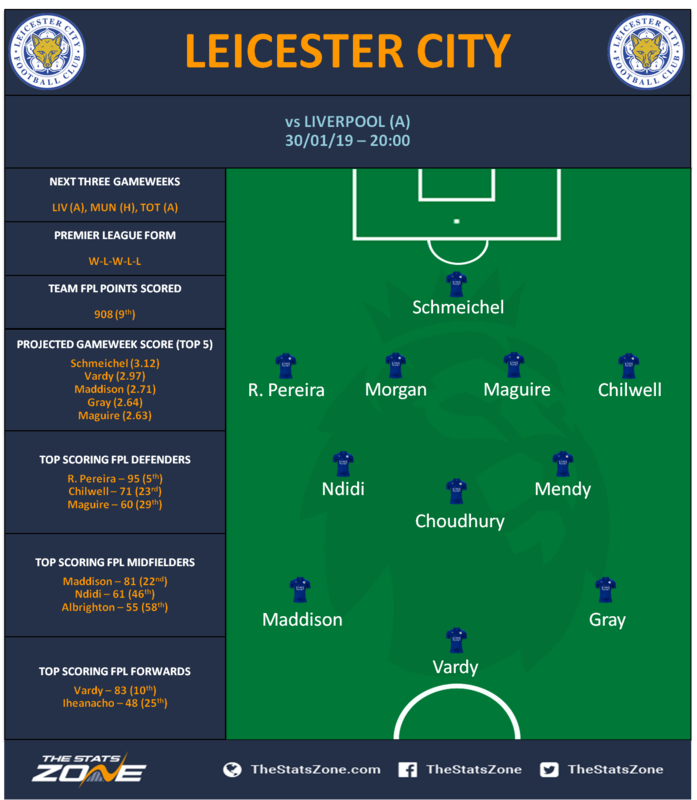 Hamza Choudhury (£4.3m) or Adrien Silva (£4.7m) could be drafted in if Puel opts for a three-man midfield against league leaders Liverpool. Vincent Kompany (£5.2m) remains out for the champions. 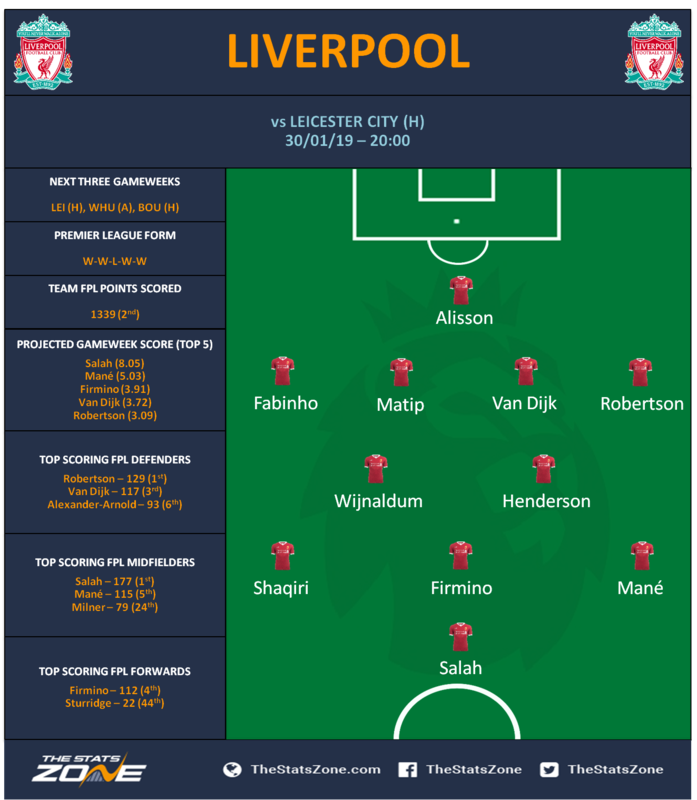 Considering the options at Guardiola’s disposal and City’s congested fixture list for the next three gameweeks, rotation should come as no surprise to FPL managers. Kevin De Bruyne (£9.7m) started in GW23 and began both of the Citizens’ cup victories since then, so may have to settle for a place on the bench at St James’s Park. Rafa Benitez is short on bodies in midfield ahead of Man City’s visit. The Newcastle boss said: “The midfielders are still very close, but not ready for this game so it's more or less the same. 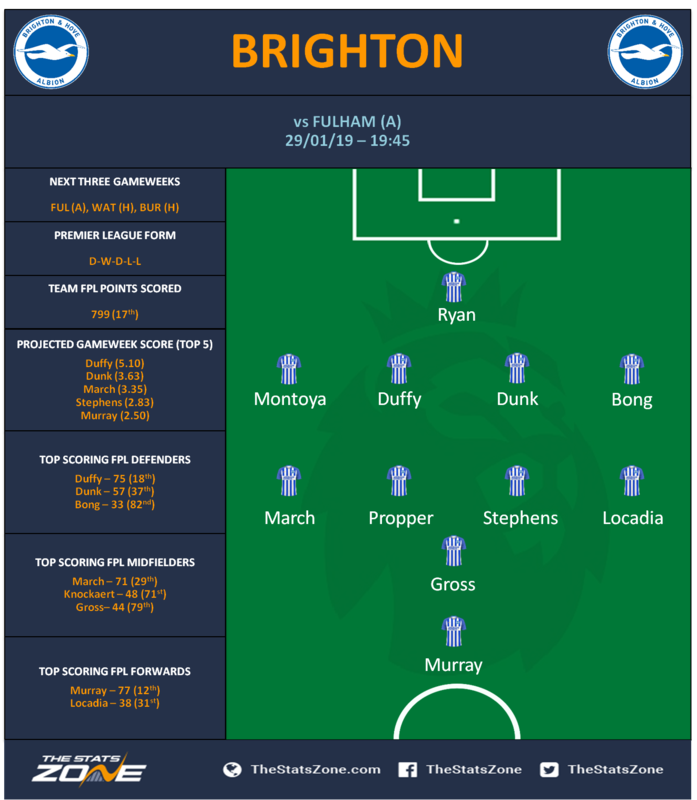 The only one we have lost is Joselu, with a twisted ankle. 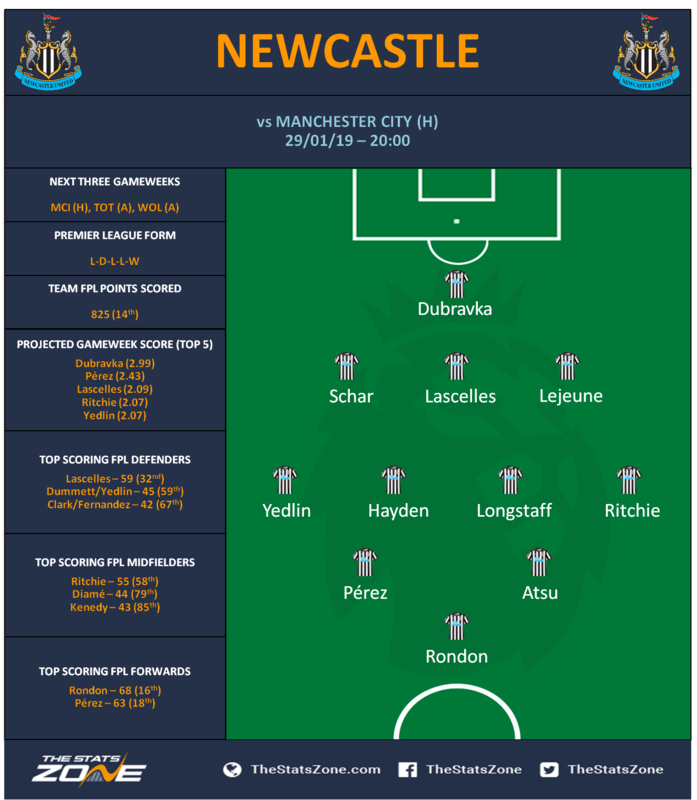 No Jonjo Shelvey (£5.3m), no Ki Sung-yueng (£4.7m), no Mohamed Diame (£4.8m).” Sean Longstaff (£4.5m) looks set to continue in the centre of the park alongside Isaac Hayden (£4.3m). Charlie Austin (£5.5m) “has a swollen ankle” so is unlikely to feature, while the striker could also be sold before the transfer window closes. On Austin’s future, Hasenhuttl stated: “I think it sometimes comes to a point that you can't give the player what he expects. In this situation we are trying to find a win-win for both sides. It can be a possibility he is leaving.” Cedric has joined Inter Milan on loan with a view to a permanent move, while Wesley Hoedt has also left the club for the remainder of the season. Ben Davies (£5.6m) is sidelined for Spurs, while Moussa Sissoko (£4.9m) is available after returning to training. Harry Kane (£12.4m) and Dele Alli (£8.9m) remain out. If the Spurs boss reverts to a 4-2-3-1, Son could slot straight into the left side of an attacking midfield three. The South Korean could also displace Fernando Llorente (£5.6m) up front, with Lucas Moura (£6.8m) now available too. 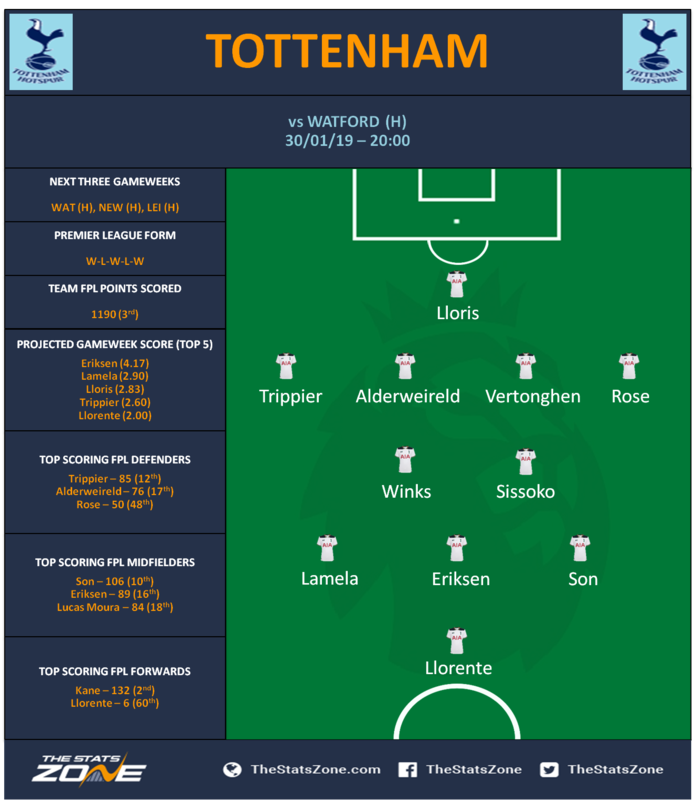 Sissoko may get the nod over Eric Dier (£4.7m) in midfield, though the France international is also an option higher up the pitch if any of Son, Moura or Erik Lamela (£6.1m) aren’t used from the beginning. Davinson Sanchez (£5.8m) will earn a start if Pochettino opts for a three-man central defence. Daryl Janmaat (£4.9m) will replace Femenia, while Adrian Mariappa (£4.2m) and Christian Kabasele (£4.4m) may continue ahead of Craig Cathcart (£4.5m) and Miguel Britos (£4.3m). 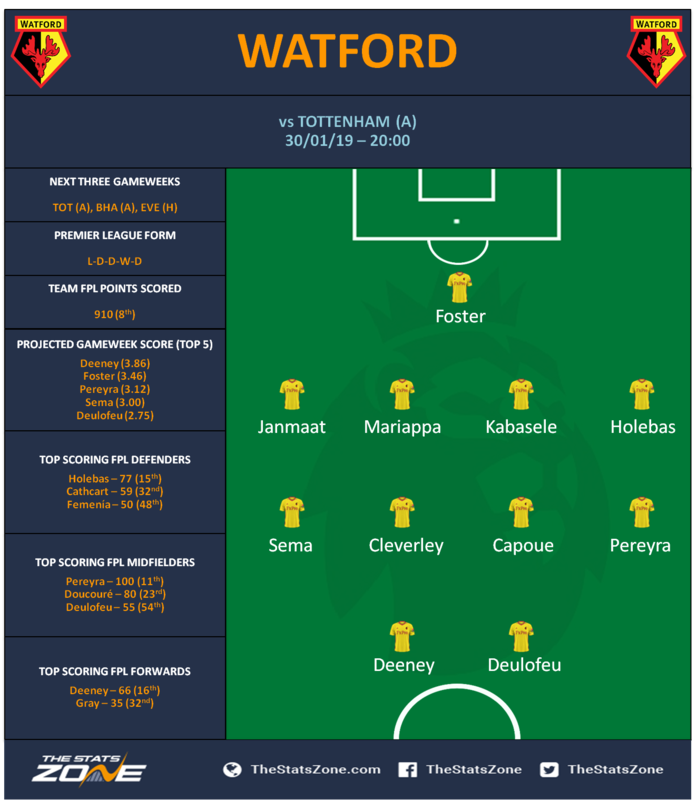 The latter pairing were used for Watford’s FA Cup win against Newcastle. 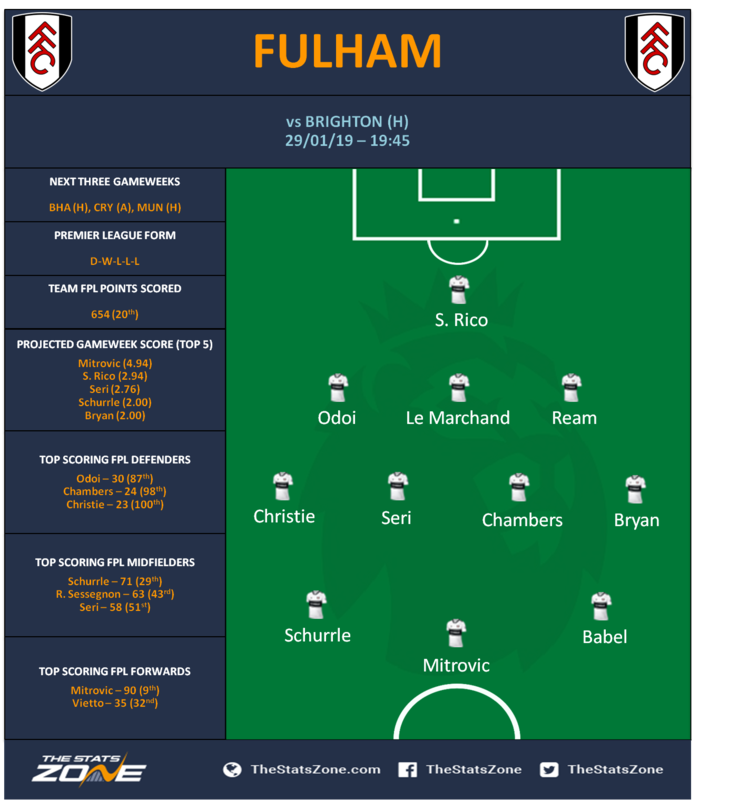 Will Hughes (£4.9m) presents a strong challenge to Ken Sema (£4.6m) for the right-midfield spot. 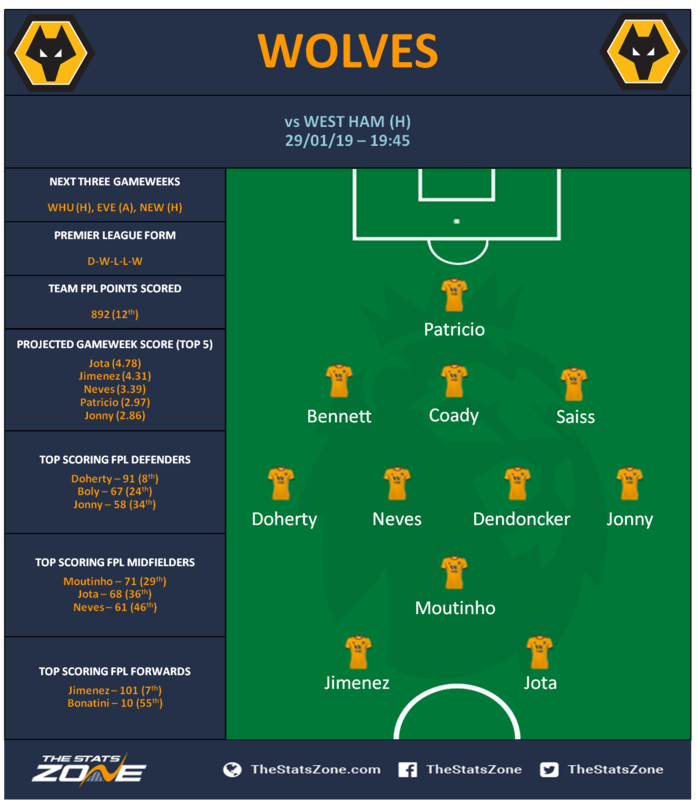 Nuno has no new injury concerns ahead of GW24. Willy Boly (£4.6m) serves the final game of a three-match ban. Matt Doherty (£5.2m) will battle with Ruben Vinagre (£4.3m) for the right wing-back berth in the Wolves XI.